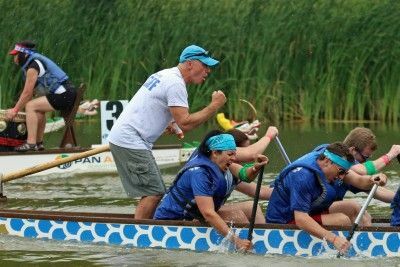 This post started out to be all about the passion of dragon boating, but as I began writing I saw that much of it is relevant to life in general. So as we meander through this post, see if any of it strikes a chord in your life – even if you are not a dragon boater. 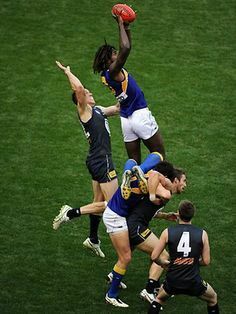 Figure 1: Australian Rules Football. My passion. For most of my life; my work, sport and home lives were, for the most part, separate. My partner was into dragon boating before I was. When we met, I was playing Masters (over 40 years old) Australian Rules Football with knees that protested more and more every year. But I loved it. I have loved that game since I was 10 years old. It has been my passion. Finally, I gave dragon boating a try and I was hooked. I never believed I could be so passionate about another sport. Dragon boating managed to soak up most of my free time but I didn’t care. My friends couldn't get hold of me. My family wondered where I had gone. It ticked so many boxes for me that I never felt the need to do anything else. Other aspects of my social life always came second to my beloved dragon boating. I assume there are a number of readers who would be nodding to themselves right now. The dragon boat club I joined had a mix of all ages, from all walks of life. And there was always something new to learn and practice. There was always a goal to be met which wasn’t too far away but once reached, was replaced by the next goal. This sport rewards small improvements with big results. Get your technique and fitness right and your ergo results leap from 400m to 450m to 500m+. Get the crew’s timing right and the boat flies. I started off competing in the local regattas, then the national championships, the State team and reached a pinnacle at the World Club Championships in Hong Kong. I. LOVED. THIS. SPORT. I joined my club’s committee over the seasons in a number of roles. I read more articles than I ever did before. I completed a coaching course. I took on coaching a crew and writing articles like this. Life was good. And I proudly evolved into a dragon boating tragic. But then things started to sour for me. Dragon Boating. Sometimes I still loved it. Sometimes I hated it. What was going on? Dragon boating was supposed to be my PASSION. Was it dragon boating as a whole that brought me the joy and fulfillment I felt? There are many facets to dragon boating. 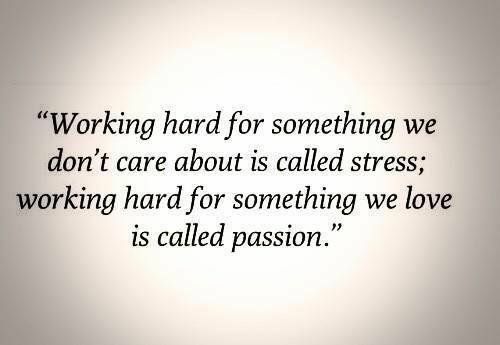 Was it really only one or two particular aspects that fired my passion? Had I taken on too much? I had to stop and break things down a bit more and determine what parts of this sport brought me joy and what didn’t. If I didn't, I risked walking away from the sport I loved because my "passion" had gone. Just being on the water? The broad demographic of the people it attracts? Before I go onto tell you how I determined my real passion, let me talk about “The Legend of Baggar Vance”—a movie about a down-on-his-luck golfer who enlists the help of an inspirational golf caddy (Baggar Vance) to perfect his game. Inside each and every one of us is one true authentic swing. Something we were born with. Something that’s ours and ours alone. Something that can’t be taught to you or learned. Something that got to be remembered. That last line is deep: your passion has to be remembered. Your passions have been with you, in you, all along, even before dragon boating. If dragon boating is doing it for you then it is because it is resonating with passions you already have; which have been realised before and can be realised again - once you know what they are. Armed with this, I looked back over my dragon boating experiences and my life to seek out the times when my passions were evident and to track what I was doing at those times. I soon discovered that from my previous 10 point list, 8 were related to my passions and 2 were the ones that didn’t resonate so much with me. It doesn’t mean that some of the 10 points are bad. It just means they are not for me. I have now adjusted my dragon boat experience to emphasise the passion points and minimise the pain points. Bingo!! Dragon Boating is now a joy for me again. I am a better paddler and a better club member because of it. Do you want to find your passions in dragon boating? Do you want to find your passions in life?